4454 Belview Way, Rockton, vacant land/lot/residence, $29,900, Holden 10 LLC to Three Hammer Construction Inc.
7287 Cornflower Road, Cherry Valley, residence, $163,000, Randy L. and Jan M. Kraegel to Cendant Mobility Financial Corp.
7231 Mullinshire Way, Machesney Park, vacant land/lot, $24,500, Petry Trust No. 1989 to Maplecrest Construction Inc.
5253 McCurry Road, Roscoe, industrial building, $2,950,000 Roscoe Property LLC to Dana Corp.
2407 Custer Ave., Rockford, residence, $85,000, Stanley A. Pearson to Cendant Mobility Financial Corp.
1718 22nd St., Rockford, residence, $91,305, Lender Sales of Illinois LLC to Federal Home Loan Mortgage Corp.
4228 Hoisington Road, Winnebago, residence, $109,459, Lender Sales of Illinois LLC to Federal Home Loan Mortgage Corp.
3941 Ashwinton Way, Rockford, vacant land/lot/residence, $25,900, First Rockford/William Charles I. Partnership to Three Hammer Construction Inc.
14117 Reston Drive, South Beloit, vacant land/lot/residence, $29,000, The Commons at Prairie Hill to Three Hammer Construction Inc.
3933 Ashwinton Way, Rockford, vacant land/lot/residence, $25,900, First Rockford/William Charles I. Partnership to Three Hammer Construction Inc.
Lyle T. Jontry, 94, of South Beloit died at 10:28 a.m. Wednesday, March 16, 2005, in Rockford Memorial Hospital after a short illness. Born May 17, 1910, in Chenoa, the son of Harry and Theresa (Cheatmen) Jontry. Lived 27 years in South Beloit, coming here in 1978. Married the former Ilene Truninger in Galena Feb. 10, 1935. Employed as an expeditor by Amerock Corp. from 1956 until retiring in 1976. Veteran of World War II, serving in the U.S. Navy. Member of Roscoe Lions. "Dad's" favorite saying was, "There is no such thing as a stranger." Survivors include daughter, Sandra (Allan) Lenius Sr. of South Beloit; granddaughter, Susan (Steve) Connell; great-grandchildren, Tricia and Traci; great-great-granddaughter, Shelby; grandson, Allan (Jill) Lenius Jr; great-grandchildren, Justin and Brieanne; granddaughter, Barb (George) Wendell; great-grandchildren, Derek, Blair and Alexa; granddaughter, Linda (Andy) Oyen; great-grandchildren, Dakota and Alex; daughter, Karine (Floyd) Hall! a of South Beloit; grandson, Denny (Cherie) Scroggins; great-grandchildren, Kaylee and Dillon; grandson, Doug (Serena) Scroggins; great-grandchildren, Daelan and Taylor; granddaughter, Lisa (Randy) Stover; great-grandchildren, Jaide, Hunter and Scout; stepgrandson, Denny (Kym) Halla; stepgrandson, Craig (Sue) Halla; stepgreat-grandchildren, Jackie and Emily; and stepgranddaughter, Brenda Burke. He was preceded in death by his parents; wife, Ilene; and brother, Clarke. SOUTH BELOIT - Ilene M. Jontry, 96, of South Beloit died at 11:20 p.m. Friday, Oct. 8, 2004, in her home surrounded by her loving family. Born Aug. 16, 1908, in Savanna, the daughter of Henry and Martha (Fitzpatrick) Truninger. Lived 26 years in South Beloit, coming here from Savanna. Married Lyle T. Jontry Feb. 10, 1935, in Galena. Employed by J.C. Penney, retiring in 1974. She loved playing bingo. Survivors include husband, Lyle, of South Beloit; daughter, Sandra (Allan) Lenius Sr. of South Beloit; granddaughter, Susan (Steve) Connell; great-grandchildren, Tricia and Traci; great-great-granddaughter, Shelby; grandson, Allan (Jill) Lenius Jr.; great-grandchildren, Justin and Brieanne; granddaughter, Barb (George) Wendell; great-grandchildren, Derek, Blair and Alexa; granddaughter, Linda (Andy) Oyen; great-grandchildren, Dakota and Alex; daughter, Karine (Floyd) Halla of South Beloit; grandson, Denny (Cherie) Scroggins; great-grandchildren, Kaylee and Dillon; grandson, Doug ! (Serena) Scroggins; great-grandchildren, Daelan and Taylor; granddaughter, Lisa (Randy) Stover; great-grandchildren, Jaide, Hunter and Scout; grandson, Denny (Kym) Halla; grandson, Craig (Sue) Halla; great-grandchildren, Jackie and Emily; granddaughter, Brenda Burke; and numerous nieces and nephews. Predeceased by parents; brother; and three sisters. ROCKFORD - Wayne B. Kliebe, 75, of Rockford departed this life at 3:10 a.m. Wednesday, Jan. 3, 2001, in Belvidere Health Care Center. Born Aug. 8, 1925, in Rockford, son of Fred and Elva Arbogast Kliebe. Lived all of his life in Rockford. Worked at Quaker Oats for more than 30 years, retiring in 1987. He was a member of Fraternal Order of Eagles 392. Survivors include his partner in life, Muriel Roggensack of Rockford brother, Bob (Jeanette) Kliebe of Winnebago sisters, Jane (John) Rowley of Winnebago, and Renee (Fred) Scroggins of Belvidere sisters-in-law, Jennie Kliebe of Winnebago and Janet Kliebe of Mount Morris special adopted family, sons, Melvin (Barb) Roggensack and Ron (Lisa) Roggensack of Rockford daughters, Sharon (Larry) Crimmins of Davenport, Iowa, and Linda (Dan) Gillespie of Rockford several grandchildren and great-grandchildren. Predeceased by parents, two brothers and two sisters. ROCKFORD - Sam "Bernie" Burns Sr., 69, died at 11:42 a.m. Tuesday, Aug. 28, 2001. Born Oct. 2, 1931, in Shirland, the son of Kenneth and Lena Champion Burns. He married Joanne Scroggins on Dec. 29, 1951, in Rockford. Employed as a millwright in the construction industry before retiring. Veteran of the Korean War, serving in the U.S. Army from 1951 to 1953. Member of Jehovah's Witnesses Congregation South and was a ministerial servant. Sam always was available to help where needed. Survivors include wife, Joanne daughter, Vickie Babcock and her fiance, Mickey Hollingsworth son, Samuel Jr. special grandson, Aharon Samuel Babcock, all of Rockford sisters, Delores (Joe) Bisbee and Judy (Bob) Shuga, both of Rockford, and Sandra (Jim) Haynes of Byron brothers-in-law, Fred (Renae) Scroggins of Belvidere and Denny Scroggins of Florida sister-in-law, Midge (Ken) Holmes of Rockford special daughter-in-law, Vicki "Pip" Burns of Rockford 25 nieces and nephews 47 great-nieces and -nephew! s four great-aunts and many cousins. Predeceased by parents sisters, Helen Prichard, Sally Ingram and Grace Geordt brother, Carl Burns and niece, LaDonna Erickson. Jennifer L. Scoggins, a 21-year-old SIUE sophomore, died March 19, 2005, at Alton Memorial Hospital from asthma complications. Scoggins was born May 24, 1983, in Alton to Noland and Sandra "Mickey" Scoggins. After graduating from Alton High School in 2001, Scoggins began attending SIUE. She was a member of the Metropolitan Congregation of Jehovah's Witnesses. Her hobbies included reading, writing, fishing, listening to music and being with family and friends. She is survived by her parents, who live in Piasa; her sister Rachel of Piasa; her paternal grandparents, Harvey and Treva Scoggins of Godfrey; her maternal step-grandmother, Lorean Cooley of Alton. Her maternal grandparents, Robert and Pauline Cooley, preceded her in death. Memorial services will be 2 p.m. Saturday at the Kingdom Hall of Jehovah's Witnesses in Alton. Jennifer L. Scoggins, a 21-year-old SIUE sophomore, died March 19, 2005, at Alton Memorial Hospital from asthma complications. Scoggins was born May 24, 1983, in Alton to Noland and Sandra "Mickey" Scoggins. After graduating from Alton High School in 2001, Scoggins began attending SIUE. * The sender's identity has not been verified. Message: Jamie Alan Dawson, 32, of St. Joseph, passed away at his home Friday, Jan. 25, 2008. He was born Oct. 10, 1975 in St. Joseph, where he has lived his life. He graduated from Lafayette High School and Missouri Western State University with a degree in Physical Science. Jamie was a teacher. He enjoyed working out, wrestling, mixed marshal arts, karate, and jujitsu. He also enjoyed playing music, especially, drums and guitar. He was a former member of the Copeland Baptist Church. Jamie is survived by his children Kaitlin and Jonah Sherer of Savannah, Mo., Hayden, Gabriel and Rhylan Dawson of the home; his long time companion, Angela Reagan of the home; his mother, Donna Vogel and husband Tim of St. Joseph; his father, Archie Tracy and his wife Cindy of St. Joseph and his father, Jack Dawson; his brothers, Ryan Scroggins, Bobby Lawson, and Christopher Tracy and sisters Melissa Dawson, Angie Ritzinger, Misty Robertson, Jada Brown, Debra Tracy, Sara Vasut, Aundra Scroggins, Melissa Kelmel, Jana Roach, Amber Fox, Gracelynn Vogel and Jackie Dawson; maternal grandmother, Bonnie McDowell and maternal grandfather Don Dockery both of St. Joseph. Funeral service will be conducted at 2 p.m. Tuesday, at the Rupp Funeral Home. The interment will be at Mount Auburn Cemetery. The family will receive friends from 6 to 8 p.m. Monday, at the Rupp Funeral Home. Memorials are requested, in lieu of flowers, to the Jamie Dawson memorial fund in care of the Rupp Funeral Home. Online condolence and obituary at www.ruppfuneral.com Published in the St. Joseph News-Press on 1/27/2008. Please visit the Notice for Jamie A. Dawson. Message: Emma C. Scroggins SCROGGINS, MINISTER EMMA C., age 73, of Birmingham, passed away Sunday, January 20, 2008. She was a member of Friendship Baptist Church of West End, where she was a Sunday School Teacher, ordained Minster and a member of the Senior Choir. She is survived by her husband, William E. Scroggins, Sr.; sons, William, Jr. (Marilyn), Pastor John A. and Arnold F. (Beverly) Scroggins; sister, Jean Givan; brothers, Jesse and James Boone; 9 grandchildren; and 15 great-grand-children. Funeral service will be held on Saturday, January 26th at 1:00 pm from the church with burial in Elmwood Cemetery. Arrington Funeral Home, Inc. directing. Published in The Birmingham News on 1/25/2008. Please visit the Notice for Emma C. Scroggins. 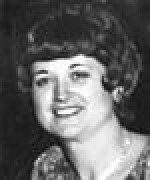 BODIFORD, EMMA JEAN , age 60, of Birmingham, formerly of Andalusia, died Thursday, December 14, 1995. She worked in telecommunications with BellSouth. Visitation will be Friday, December 15, at Foreman Funeral Home after 5 p.m. Funeral service will be Saturday, December 16, at 3:30 p.m. at Foreman Brown-Service Funeral Home Chapel with burial in Antioch Cemetery. Rev. Ed Ganus officiating. Survivors: husband, Arthur Bodiford of Birmingham; sons, Stephen Bodiford and Gregory Bodiford, both of Birmingham; daughter, Karen Clayton of Bessemer; brother, Joe Frank Scroggins of Wichita Falls, Tex. ; sisters, Ethelyn Campbell of Andalusia, Eleanor Powell of Natches, Miss., and Doris Bull of Dadeville; three grandchildren. Foreman Brown-Service Funeral Home, Andalusia directing. Copyright, 1995, Birmingham News. All Rights Reserved. HERMISTON -- There will be a viewing for the family and friends of Thurman G. "T.G." Lewis, retired pastor of the Hermiston Faith Church of God, between 7 p.m. and 8 p.m. today at Burns Mortuary in Hermiston. The funeral service for Mr. Lewis will be 10 a.m. Monday, Aug. 9, Hermiston Faith Church of Godm 16111 Diagonal Blvd. Burial will follow at the Hermiston Cemetery. Mr. Lewis, 89, of Hermiston, died Wednesday, Aug. 4, 2004, at Hermiston Terrace Assisted Living Facility in Hermiston. He was born Feb. 17, 1915, at Bergman, Ark. to Milford and Loretta Dummit Lewis. As a young man he served in the Civilian Conservation Corps to help support his family. On Oct. 9, 1938, he married Ona Riddlesperger. The couple farmed in Arkansas and eventually moved to California where Mr. Lewis went to work for the Signal Depot in Sacramento. In his late 30s, Mr. Lewis fulfilled a call to become a Christian pastor and began his ministry in Dunnigan, Calif. He later accepted a pastorate at Roseburg, and then in 1960 relocated to Hermiston to become the pastor of the Beech Street Church of God, now known as Faith Church of God at the comer of North Townsend and Diagonal Blvd. He continued in fulltime Christian service until retirement. Throughout his life, Mr. Lewis enjoyed hunting, fishing, raising cattle and working with his horses. He loved raising a big garden each year. But his greatest love was caring for his church flock. He loved his grandchildren and was a great support to all of his family. After the death of his wife, Ona, he married Mary Westcott in 2001. Survivors include his present wife, Mary Westcott-Lewis of Hermiston; daughter, Winnifred Scroggins and husband, Bobby Scroggins, of Salem; son, Ronald Lewis and his wife, Kristie Lewis, of Hermiston; grandchildren, Randy Scroggins, Terry Scroggins, Rojonna Kopta, Hope Miller, Lindsey Lewis, Mary Polychronis, and Rachel Polychronis; seven great-grandchildren; nine nieces, six nephews and many friends. Mr. Lewis was preceded in death by his first wife, Ona, by his parents, by three brothers and three sisters. Memorial contributions may be made to the Hermiston Faith Church of God, 1611Diagonal Blvd., Hermiston, OR 97838. Burns Mortuary of Hermiston is in charge of arrangements. Copyright, 2004, East Oregonian (Pendleton, OR). All Rights Reserved. Maxine Scroggins, 77, St. Joseph, MO, died Saturday, February 12, 2000, at a St. Joseph hospital. Private family services; interment in Memorial Park Cemetery, St. Joseph. The family suggests memorial gifts to the Alzheimer's Association, Northwest Missouri Chapter, P.O. Box 1241, St. Joseph, MO 64502. Message: Joseph E. Pace Born Sept. 24, 1923, in Natchitoches, he died Friday, Dec. 21, 2007, at Our Lady of the Lake Regional Medical Center at the young age of 84. He was young at heart and in spirit. Everyone who knew him also thought he wasn't really 84. He wanted to be a Marine at the age of 15, but his Mom wouldn't hear of it. His Dad finally took him into Natchitoches and let him sign up at 16, when he was in his senior year at St. Mary's High School, knowing he was too little to be a Marine and knowing he had to be 6-feet tall and 170 pounds, and he was 5 feet 5 inches and 135 pounds. But then came Pearl Harbor, and Little Joe became a Marine. He served from Jan. 16, 1942, to Jan. 16, 1946, going from Guadalcanal to Japan, always telling his Marine buddies who talked of dying that he was going to make it out alive and he did. He received the Good Conduct Medal. The "Once a Marine, Always a Marine" slogan was always a part of his life. Everything he did in life, he did with all he had within him. And what he had within him was lots of pranks, a zest for life, lots of fun, hard work and so much love. He loved everyone he knew and everyone who knew him loved him. He was the owner of Pace's Hair Styling since 1953 and Pace's School of Beauty from 1963 to 1968. He received state and national hairdressing awards. An avid LSU fan, he bled purple and gold from 1953 until the day he died. He attended LSU for one year and graduated from a barber college and Moler Beauty College. He was a member of the Marine Corps League and American Legion. Survived by his wife of 40 1/2 years, Janice Pace; sister, Ruby Bernard; daughter, Sherry Scroggins; granddaughter, Dawn Bunch; brother-in-law, Ray Hanks and wife Judy; beloved brother-in-law, Leon Clouatre; beloved son-in-law, Jerry Scroggins; nephews, Randy Clouatre and wife Tasha, Raymond Clouatre and wife Rhonda, and Larry Bernard; nieces, Donna King and husband Chris, Diane Jones and husband Todd, Dana Jarreau and Shauna Sims. He was preceded in death by his mother and father, Fred and Josephine Pace; brother-in-law, Jay Bernard; sister-in-law, Gerry Clouatre; and mother-in-law and father-in-law, Alcide and Laurence Hanks. He was interviewed by LPB in August for the Ken Burns documentary, "World War II-The Greatest Generation." He lived life to the fullest - every minute of every day. He was small in statue, but huge in his compassion and love of people and life and a great friend to all he knew and loved. He was the "ultimate Marine." He loved his family, his friends, which are many, his employees, his customers and his God. He said his prayers every night, not just for himself, but for everyone. There is a huge void now in the lives of those who knew and loved him. He was a very giving man to everyone he knew. Special thanks to his many friends and family and especially to Dr. John Spence McClelland who went over and beyond the limits of medicine to keep him with us as a comfortable and able human being as did Dr. William "Superman" Erwin - two great doctors and friends one rarely finds. Visitation at Rabenhorst Funeral Home, 825 Government St., on Wednesday, Dec. 26, from 4 p.m. to 8 p.m. Visitation at St. Aloysius Catholic Church on Thursday from 10 a.m. until Mass at 11 a.m., with the Rev. Gerald Burns, celebrant. Interment in Resthaven Gardens of Memory. Pallbearers will be Randy Clouatre, Raymond Clouatre, Todd Jones, Jerry Scroggins, Buddy King and Stephen Pol. Honorary pallbearers are Leon Clouatre, Dr. John Spence McClelland, Dr. William "Superman" Erwin, Dr. Charlie Mitchell, Dr. Richard Carter, Dr. Kenneth Cranor, Dr. Van "Bibb" Saye, Robert E. Reed, Andrus Bouque, Joe Dean, Lance Marchiafava, Eddie Matthews, "Smokie" Bourgeois, Tony Larrata, Kenny Sexton, Kevin Shingleton, V.J. Bella, Charlie Roberts, Mitch Marcello, Ronnie Thevenot, Mike Becnel, Stanley Triche, Sumpter B. Davis, Chris King, Mike Montagnino, Dr. Ross Denicola, Dr. "Tee" Fontenot and Rep. Steve Carter. We thank doctors McClelland and Ewin for their medical expertise, moral support and friendship. Joe Pace touched their hearts as he did everyone's. Even in death, he would say to them, "I'm fine," and give the OK signal with his hands. And the day before his death, with hand signals, he made us understand, "Bet me $100 on LSU!" Donations may be made to the American Heart Association or the American Lung Association. "Semper Fi," Sgt. Pace, "Semper Fi." Published in The Advocate from 12/24/2007 - 12/26/2007. Please visit the Notice for Joseph E. Pace. Message: LaTanya Cain LaTanya Cain, 50, passed away at her home. She was born on May 29, 1957 in Deklab, Texas to Tommie Barber and Jewell Miller. She was preceded in death by her mother. She was a license mental health technician at the Indian Trail Nursing home. She was a foster parent for Lutheran Social Services. She was a member of the New Deliverance Pentecostal Church and was the Coordinator for the Building Fund. She leaves to cherish her memories: her father Tommie Barber, Topeka; two sons, Buron (Sherry) Barber, Hoaks, Texas and Kawlyn (Anna Smith) Cain, Topeka; two daughters, Rickquette Cain and Erica (Khalfahl Scroggins) Cain, both in Topeka; two brothers, Charles Miller, Dallas, Texas and Karl Barber, Topeka; three sisters, Vickie (Pearson) Carter, Topeka; Machanta Clark, Atlanta, Texas, Tarhonada Barber, Topeka and eleven grandchildren. Instate: Thursday, December 27; 4-8 p.m.; Bowser-Johnson Funeral Chapel, 6-8 p.m. where family will receive friends. Service: Friday, December 28, 11:00 A.M. at Apostolic Church of Jesus Christ, 2420 SE Bellview. Published in the Topeka Capital-Journal on 12/25/2007. Please visit the Notice for LaTanya Cain. Message: Ruth A. Spillman Ruth Alice Spillman: Beloved mother, nana, sister, aunt, niece and friend, went to be with the Lord on Wednesday, November 28, 2007, after battling cancer. She was born in Muncie, Indiana to John and Lorene Mapel on July 14, 1940. The past 9 years she worked as a receptionist for the Freeman Company in Anaheim, CA. Ruth is survived by her son Troy Spillman and daughter-in-law Diana Spillman of Simi Valley, CA; her daughter Hol ly Scroggins and son-in-law Jim Scroggins of Rancho Cucamonga, CA; her adopted daughter Laura Harrison of Costa Mesa, CA; her grandchildren; McKayla Spillman, Kory Spillman, McKenna Spillman, Savannah Scroggins, Jimmy Scroggins and Hope Scroggins; her brother John Mapel of Woodland, CA. ; her sister Jodi Mapel of Napa, CA. ; her Uncle Avery and Aunt Christine Bryant of Rancho Palos Verdes, CA; her Uncle Bud and Aunt Judy Bryant of Muncie, IN; her Aunt Marcella Ginn of Muncie, IN. ; her many cousins, nieces and nephews. Ruth was preceded in death by her father, mother and sister Gloria Taute. A Celebration of her life will be held Saturday, December 8, 2007 at 11:00 AM at Community Baptist Church, 9090 19th Street, Rancho Cucamonga, CA. Memorial remembrances may be made to Community Baptist Church Building Fund - Youth Center. Reception immediately following. Published in the Inland Valley Daily Bulletin on 12/5/2007. Please visit the Notice for Ruth A. Spillman. Message: Robert W. Schrader Robert W. Schrader, 60, passed away peacefully after a brief, but brave, battle. He was preceded in death by his mother, (Emma); father, (George); and brothers (George Jr. and Herb). Survived by long-time companion, Marian (Scroggin); nephew, Jim (Schrader); and many other friends and family members. Bob was born April 5, 1947 and raised in Waukegan, Illinois. He attended Waukegan High School and after graduate he proudly served his country in Vietnam War, returning as a decorated member of the United Sates Marine Corps. The next 20 years were spent serving the public as a member of the Lake County Sheriff's Department from which he retired. The last few years of his life were spent enjoying retirement in sunny Florida. People will remember Bob as an avid White Sox fan (one of his life's highlights was attending the World Series in 2005), an animal lover, and a person who would do anything for you. He was always quick to laugh and enjoyed having a fun time with all. He will be greatly missed by everyone whose life he touched. Semper Fi. Published in the News Sun on 1/14/2008. Please visit the Notice for Robert W. Schrader. SYLACAUGA ? Funeral service for Margaret Nell Campbell, 74, will be Thursday, Aug. 26, at 11 a.m. at Curtis and Son Funeral Home North chapel with the Rev. Paul Hickman officiating. Burial will be in Evergreen Memorial Cemetery. Mrs. Campbell died Aug. 24 at Sylacauga Health Care Center. She was preceded in death by her parents, Nellie V. Burkhalter and Clyde C. Burkhalter, and a brother, Luverne Burkhalter. She is survived by her husband, Alfred T. Campbell of Sylacauga; daughter, Janice C. Scroggins and husband Jimmy of Sylacauga; grandchildren, Warren Scroggins and wife Kelly of Sylacauga, Kim S. Smith and husband Kenny of Fayetteville, Jason Scroggins of Sylacauga and Jamie S. Culver and husband Shane of Sylacauga; and great-grandchildren, Brittany Scroggins, Brandon Riley, Kayla Riley, Dylan Smith, Kourtney Smith, Kelsey Smith, Jaycie Smith, Slade Scroggins, Nellie Scroggins and Bailey Parker. Pallbearers will be Tommy Campbell, John Campbell, Brian Campbell, Brad Campbell, Mark Campbell and Frank Polk. Honorary pallbearers will be French Campbell, Charles Hill, Larry Strayer and David Scroggins. Curtis and Son Funeral Home North Chapel will direct the service. Message: Merdell Easter Easter, Mrs. Merdell Saginaw, Michigan Funeral service will take place at 11:00 a.m. on Friday, December 21, 2007, at Bethel A.M.E. Church, 535 Cathay St. Pastor P. David Saunders will officiate with interment in Forest Lawn Cemetery. Friends may call at the Browne's Mortuary, 441 N, Jefferson Ave. on Thursday from 2:00 until 8:00 p.m. Mrs. Merdell Easter passed away December 17, 2007, at Luther Manor Nursing Home at the age of 94 years. Mrs. Easter was born January 28, 1913, in Lockburg, AR to Etta Bell and James Neal. She married Hubert Easter on November 9, 1948, in DeQueen, AR, he preceded her in death on June 23, 1964. She leaves to cherish her memory, two daughters, Faye (Ollie) Williams and Bennie Scroggins; 15 grandchildren; 60 great-grandchildren; daughter-in-law, Rose Richardson and many other relatives and friends. Mrs. Easter was preceded in death by her parents, Etta Bell and James Neal; husband, Hubert Easter; grandson, Derrick Richardson; great-grandson, Antoine Sims; sister, Lois Sterling and son, Clementon Richardson. Published in the Saginaw News on MLive.com from 12/18/2007 - 12/19/2007. Please visit the Notice for Merdell Easter. Herb and Barbara Sarno Scroggins of 93 Bittersweet Circle, Guilford, celebrated their golden wedding anniversary with a motor trip to Branson, Mo. They were marred Sept. 17, 1955, at St. Francis Church in New Haven. Mr. Scroggins retired from Dana Corp., formerly Echlin Manufacturing, with 19 years of service. His wife retired with 26 years of service from the Guilford Board of Education.Their children are Donna Howe of North Carolina and David Scroggins and his wife, Rose, of Guilford. The honored couple has five grandchildren. Deceased: Samuel W. DeSenti, Sr.
80, husband of Alice Tietjen DeSenti of 65 Messina Drive, East Haven, died on April 24, 2007 at the West Haven VAMC. He was employed by Thomas Keegan ExcavatinGas a construction foreman for over 30 years. He also worked for Joseph N. Rice Construction. He was an Army veteran of WW II. In addition to his wife he is survived by daughter, Debra L. (Matthew) Benevento of East Haven; sons, Samuel M. DeSenti, III of New Haven, Joseph D. (Francine) DeSenti of East Haven, Anthony (Debra) Sorrentino of East Haven, Salvatore (Janet) Barese of New Haven; brothers, Fred DeSenti of Florida, Thomas DeSenti of West Haven, Larry DeSenti of New Haven, sisters, Rita Borczenski of Hamden, Madelyn Marinuzzi of North Haven, Bette Ansonoff of Ansonia and Lavinnia Teodosio of North Haven; 11 grandchildren and 3 great grandchildren. He was predeceased by his parents, Samuel W. and Lavinnia Scroggins DeSenti, Jr., and brothers, James and Louis DeSenti. His funeral will leave the EAST HAVEN MEMORIAL, 442255 Main St.. on Thursday at 9:00. A Mass of Christian Burial will be at St.
Vincent de Paul Church at 9:30. Burial with full military honors will be in East Lawn Cemetery. (TODAY) from 4 to 7 p.m.
John F. Ross III., 79, of Manchester, husband of Wilma P. (Hawes) Ross died Friday, (December 14, 2001) at Manchester Memorial Hospital. He was born April 24, 1922 in Rockwell City, IA son of the late, John F. Ross Jr. and Lulu G. (Scroggins) Ross and had been a resident of Manchester for over 53 years. Mr. Ross was a veteran of World War II, serving in the US Navy with the Merchant Marines. He was employed as a machinist for Colts/ Pratt Whitney of West Hartford for over 20 years and prior to his retirement worked for Manchester Molding and Manufacturing for ten years. He was a former member of Trinity Covenant Church in Manchester. Besides his wife, he is survived by three children, W. Rochelle Scheibenpflug and her husband, Joseph Scheibenpflug of Manchester, Melanie Christiansen and her husband, Terry Christiansen of East Bremerton, WA, and Attorney Daryl F. Ross and his companion, Frances Reese both of Manchester; three grandchildren, Melissa H. Silberberg and her! husband, Matthew N. Silberberg of Rocky Hill, Matthew G. Ross of Manchester and Amy Scheibenpflug of Manchester; a brother, Eldon Ross of Jefferson City, IA; a sister, Mary Jane Miller of Townville, SC and several nieces and nephews. Mr. Ross was predeceased by a daughter-in-law, Barbara G. Ross; a grandson, David Christiansen; and a brother, Dale Ross. Funeral services will be Monday, December 17 at 12 Noon at Trinity Covenant Church, 302 Hackmatack St., Manchester. Burial will follow in East Cemetery, Manchester. Calling hours will be TODAY Dec. 16, 2-5 p.m. at Holmes Funeral Home, 400 Main, St. Manchester. Memorial contributions may be made to the Visiting Nurse and Health Service Inc. (North Central Hospice), 8 Keynote Dr. Vernon, CT 06066 or to Literacy Volunteers of Connecticut, 70 Cannon Rd., East Hartford, CT 06118. Copyright (c) 2001 The Hartford Courant Co.
Albert Lee Gilmore, 59, of Russellville died Monday, Oct. 2, 2006, at Atkins Nursing and Rehab Center. He was born Jan. 27, 1947, at Formosa, to Dewey and Norene Sohn Gilmore, and was a 1965 graduate of Clinton High School. He was a carpenter, loved to hunt and fish, and was a Christian. Survivors include his wife, Sharon Kay SCROGGINs Gilmore; three sons, Leon of Springfield, Mo., Michael of Vancouver, Wash., and Terry of Plumerville; two brothers, Doyce Gilmore of Greenbrier and Richard Gilmore of Russellville; a sister, Christine Barden of Greenbrier; and eight grandchildren. Graveside service was at 2 p.m. Tuesday at Blackwell Cemetery at Bee Branch with Paul Northcut officiating. Arrangements were by Roller-McNutt Funeral Home of Clinton. ATKINS — Ethel Marcella Jeffryes Duvall, 95, of Atkins died Friday, Aug.
31, 2007, at Atkins Nursing Center. son, Earl Lakey; and three sisters. She was a homemaker and member of St.
Joe Free Will Baptist Church. sister, Laverne Mills of Russellville. John Wells and Orvil Simms. Online guestbook and obituary are available at www.lemleyfuneral.com. Memorial service foe Phyllis Lee Boling, 74, Lawton, will be at 10 a.m. Wednesday in Cameron Baptist Church with the Rev. Bob Jones, pastor, officiating. Mrs. Boling died Saturday, Dec. 29, 2007, at her home. Arrangements are under direction of Becker Funeral Home. She was born April 17, 1933, in Lawton. She grew up in Lawton and was a graduate of Lawton High School. She worked for Southwestern Bell Telephone for several years. She later moved to Oklahoma City, where she worked for Globe Life Insurance Company until her retirement. She was a certified phlebotomist. Following her retirement, she returned to Lawton. She was a charter member of Cameron Baptist Church. Survivors include three sons and two daughters-in-law: Bill and Rise Ann Boling Jr., and Tim Boling, all of Lawton; and Darin and Amber Boling, York, Pa.; two daughters: Randi Porter, Lawton; and Cheryl Shinault, Colorado Springs, Colo.; a brother, Alfred Taylor, Lawton; four sisters: Mauveline West, Roswell, N.M.; Belva Scroggins, Nashville, Tenn.; Pat Bainbridge, Lawton; and Freddie Jo Hubert, Florida; 10 grandchildren; and three great-grandchildren. Copyright, 2008, The Lawton Constitution, All Rights Reserved. Copyright © 2004 Naples Daily News. All rights reserved. Evangelist Jodie Lee Shirley, 88, died at 1:35 a.m. Dec. 31, 2007, at St. Rita's Medical Center. She was born Feb. 26, 1919, in Hope, Ark., to Luther C. and Ella Scroggins McFadden Sr., who preceded her in death. On May 30, 1942, she married Archie Shirley, who died Feb. 4, 1994. Mrs. Shirley was a homemaker. She was a member of Mount Olivet Church of God in Christ, where she served as an evangelist and was a member of the Mothers Board. Survivors include a son, Archie Shirley Jr., of Springfield; a daughter, Beverly (Dean) Randleman, of Lima; three grandchildren; 20 great-grandchildren; three brothers, Joseph E. (Georgie) McFadden, of Lima, and Luther C. (Corine) McFadden Jr. and Ethred L. McFadden, both of Chicago; and a sister, Ollie C. Yarbrough, of Chicago. She was preceded in death by six brothers, Elbert, Willie, Luther L., Oliver, Odell and Cardell McFadden; and two sisters, Evabelle Jordan and Clydia Fellows. Services will begin at 1 p.m. Monday at New Life Christian Ministries. Elders Clarence McGriff and Edward L. Tibbs will officiate. Burial will be in Memorial Park Cemetery. Friends may call one hour prior to services Monday at the church. Condolences may be sent to JonesClarkFH@aol.com. Arrangements are by Jones-Clark Funeral Home. MARINUZZI, MADELYN M.Madelyn Marie DeSenti Marinuzzi, 74 years old, of North Haven, passed away on Wednesday, December 12, 2007 after a long and courageous battle with cancer. She was the widow of Carlo A. Marinuzzi Sr. Madelyn was born March 8, 1933 in New Haven to the late Samuel and Lavinnia Scroggins DeSenti. She was a resident of North Haven for 54 years, and a parishioner of Saint Barnabas Church. Madelyn's career started as a young volunteer (Candy Striper) and worked her way up as a delivery room nurse at Yale New Haven Hospital before taking time off to raise a family of her own. Madelyn was a very strong and extraordinary woman; she had a spirit that will live forever within the hearts that she touched. She leaves behind; her 6 children; Carlo Marinuzzi Jr., Anthony (Gail) Marinuzzi, Paul (Anne) Marinuzzi, Madelyn (Michael) Sola, and Elizabeth (Thomas) Mitchell all of North Haven and Donna (Robert) Slattery of Wallingford and 10 grandchildren. Also survived by; her! Please visit the Notice for James Scroggins. Copyright &copy; 2004 Naples Daily News. All rights reserved. Message: Trinity Alene "Trinny" Kern Kern, Trinity "Trinny" Alene, 2, infant daughter of Todd and Alicia (Langerman) Kern passed away Dec. 30, 2007. Funeral service is 3:00 pm, Saturday, Jan. 5 at Resthaven Mortuary. Preceded by great grandmothers Alene Willson and Diana Goussey. Other survivors are sisters, Brittany and Misty Kern; grandparents, Jerry and Crystal Hiebert of Canton, KS, Allen and Patricia Kern; great grandparents, Wilford and Maryanne Kern of Michigan, Guy Willson of Derby, Jim and Joyce Staggs of Lindsborg, Tommy and Lila Scroggins of Blossom, TX; uncles, Daniel Hall of Wichita, Paul Langerman of Galva, Shaun (Sara) Hiebert of Lehigh; aunts, Ashlee Hiebert and Katelynn Hiebert both of Canton, KS; numerous other cousins, relatives and friends. A memorial has been established with Trinity Kern Memorial c/o Ft. Sill Federal Credit Union. Published in the Wichita Eagle from 1/4/2008 - 1/5/2008. Please visit the Notice for Trinity Alene "Trinny" Kern. Francis L. (Frank) Scroggins of Arlington Heights, beloved husband of LaVerne, nee Goodrich; fond father of Dawn Scroggins and Susan (Keith) Lindholm; grandfather of Ryan; brother of Clifford (Katherine) and Josiah (Marjorie) Scroggins; preceded in death by Harry and Floyd Scroggins and Ruth Belskey. Memorial services Sunday 3 p.m. at the Ahlgrim and sons Funeral Home, 201 N. Northwest Hwy., Palatine. Please omit flowers. 358-7411. Alice Ellen, Scroggins, nee Fisher, of Glen Ellyn, beloved wife of the late Floyd E.; fond mother of Mrs. Jacqueline Johnson; dear grandmother of Clifford, Kathleen Alice and Burton; dear sister of Mrs. Dorothy Henry and Mrs. Kathryn Scroggins. Visitation Thursday, from 7 to 10 p.m., at Brust Funeral Home, 135 S. Main St., Lombard. Funeral services Friday, 1 p.m., at Church of Our Saviour, Episcopal Church, 116 E. Church St., Elmhurst. Entombment Acacia Park. In lieu of flowers, memorials to Kemper Hall Episcopal School for Girls, Kenosha, Wis. or the charity of your choice. 629-0094. Helen Scroggins, of 1097 Oak Knoll Drive, Lake Forest, Sept. 10, 1967, wife of William H. Scroggins III; mother of William H. Scroggins IV, USA; daughter of Lottie B. Earnhart of Cincinnati. Visitation 5 to 9 p.m. Monday, Sept. 11, at Wenban Funeral Home, 233 E. Deerpath, Lake Forest. Private family services. In lieu of flowers, memorials may be made to Lake Forest hospital. 234-0022. Message: Thelma Scroggin Hannah News Obituary Listing THELMA SCROGGIN HANNAH, 89, of Moreland died Sunday. Funeral, 2 p.m. today, McKoon Funeral Home. Published in The Atlanta Journal-Constitution on 12/27/2007. Please visit the Notice for Thelma Scroggin Hannah. Published in the Press-Enterprise (Riverside, CA) from 1/1/2008 - 1/2/2008.